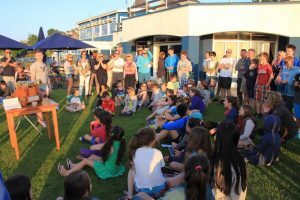 To say the weather was picture perfect would be an understatement for the inaugural Coolmore to Clubhouse dinghy race last Friday evening. 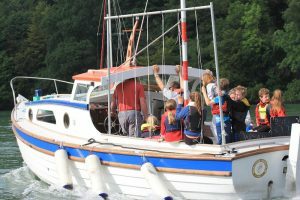 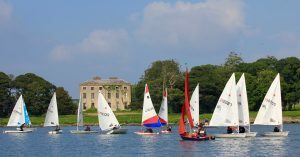 Forty five our our junior sailors (some sailing with their mums or dads) turned left from the club launching area and headed west up through Drakes pool to the start line situated in front of Coolmore house. 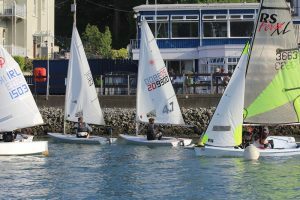 Optimists , being the smallest dinghy, were first off followed closely by the topper and laser classes , before our mixed dinghy fleet comprising of many mirrors , an enterprise , picos etc started their journey. 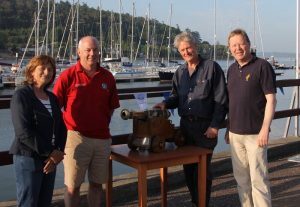 All Finished directly in front of the club house where Mark Newenham and his wife Oonagh from Coolmore estate,were on hand to give the winner of each class a gun, via the club cannon as they crossed the line. 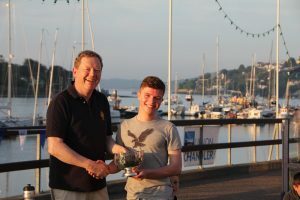 Admiral John Roche presented the overall trophy which was awarded to Eoghan O Regan who sailed his laser Radial and took line honours.